The Lombard 6 lounge robe has a subtle allover design featuring our signature rose logo. 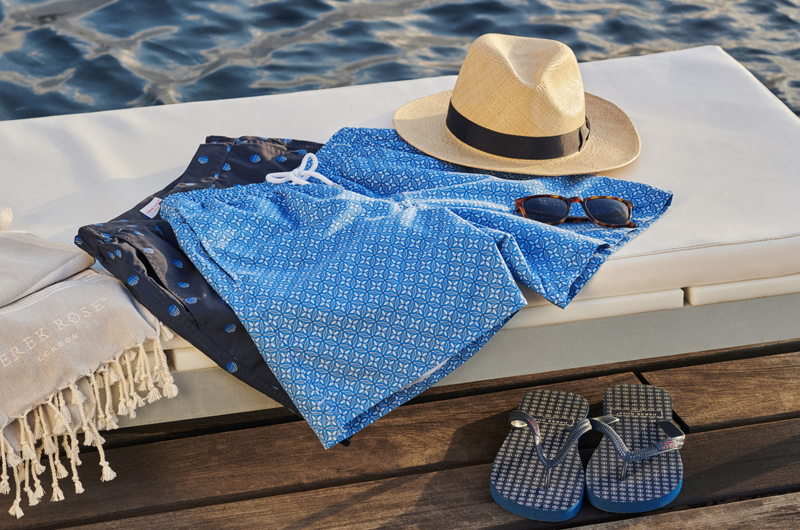 The intricate design is woven into the mid-weight fabric using a traditional jacquard technique to produce a layered and textured repeat pattern. With its satin sheen and touch, it feels as great as it looks. 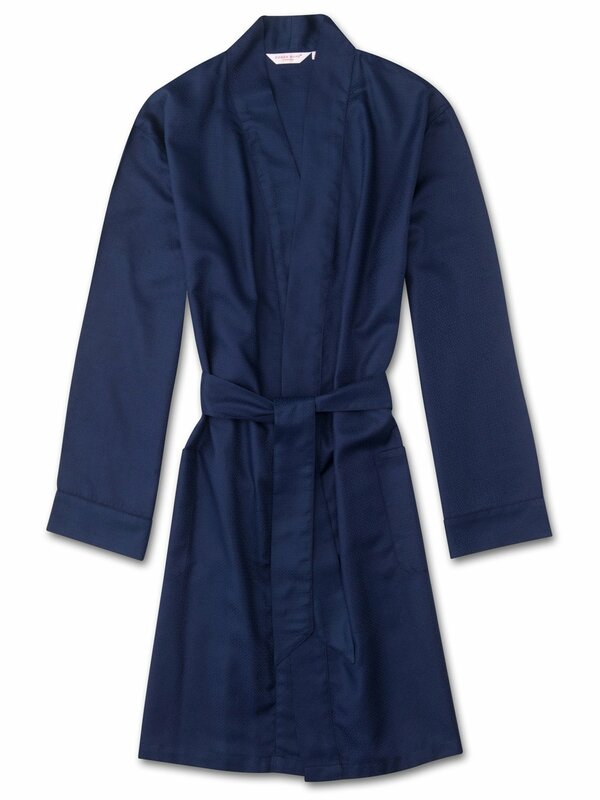 Designed for the modern man who wants a shorter and more contemporary robe, our men's lounge robes are ideal to throw on for breakfast and for lazy evenings and weekends. Made from 100% cotton and woven into a satin touch finish, this gown is a mid-weight, designed to keep you warm and comfortable when the temperature drops. Often mistaken for silk, the Lombard 6 is ideal for year-round wear. The shorter Lombard 6 navy design is easy to fold and carry in a weekend bag and features a kimono style collar, matching tie-waist and two patch pockets to store your phone and other items while lounging.